Katherine is the Chief Executive at Cumbria County Council. She provides corporate and strategic management of the council, supporting and advising politicians to achieve the council’s vision and ambitions. Katherine has held a number of senior, strategic leadership roles in local government in the North West of England and has a strong track record of delivery of transformational change and improved outcomes for residents. She began her career in Social care, moving into corporate strategy, policy and major projects in early 2001. 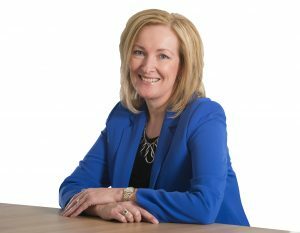 In more recent times Katherine has led change and transformation at Warrington Council and has taken a leading role in Public Service Reform across Cheshire. She has a collaborative leadership style and has been successful in leading and inspiring others to deliver the very best they can through an accessible, encouraging and challenging approach. Katherine works alongside senior leaders to lead and manage cultural and organisational change within the Council, across the county and regionally to champion the interests of the people of Cumbria. Katherine is an experienced executive coach and mentor providing high impact client centred interventions to achieve results. In her free time she enjoys travel and spending time with friends and family.